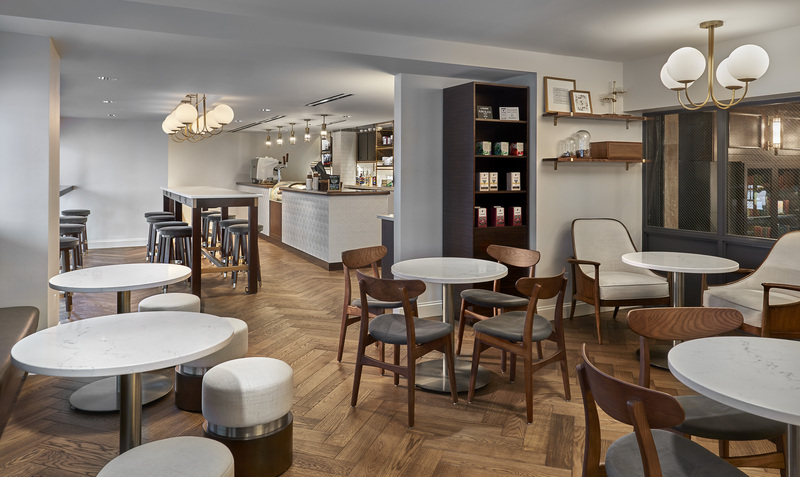 In this edition of MRM New Bites, we feature the unveiling of the Hotel Phillips transformation, food allergy and safety awards, openings and new products. Send news items of interest to bcastiglia@modernrestaurantmanagement.com or modernrestaurantmanagement@gmail.com. The historic Hotel Phillips Kansas City, top photo, now Curio Collection by Hilton, owned by Arbor Lodging Partners and managed by NVN Hotels, officially reopened its doors after undergoing a $20 million renovation that transformed nearly every aspect of the hotel. The iconic, 20-story hotel with an eminent past, features 216 exquisite guest rooms and suites that combine modern day comfort and amenities, with 1930’s elegance and design. Listed on the National Registry of Historic Places, Hotel Phillips is an art deco gem that in January 2017 joined Curio Collection by Hilton. The renovation kicked-off in October 2016 and features three new food and beverage concepts, reconfiguration of the iconic lobby, updated technology, and replacement of every guest room and suite. Behind every Tavernonna dish is ambition, passion, heritage, creativity, style and inspirational local culture and knowledge to cater to Kansas City and visiting diners. Restaurant and hotel guests can enjoy playful dishes such as, Crudo (Raw Bar), unique small plates, and variety of local steaks, house made pastas, and pizzas. AllerTrain™ by MenuTrinfo, t will recognize outstanding leaders in the foodservice industry through the AllerTrain™ 2017 Food Allergy Awards. The awards will honor restaurants and universities that are at the forefront of food allergy safety standards and training. AllerTrain is requesting nominations for restaurant brands and universities that deserve to be celebrated for their achievements in food allergy safety and awareness. Nominations will be accepted through April 21. Click here for the nomination form. The winners, chosen by a panel of top food allergy safety trainers and experts, will be announced Sunday, May 21, 2017, at the National Restaurant Association’s Restaurant, Hotel-Motel Show in Chicago. 2017 Best Food Allergy Training (2 awards): Presented to one restaurant brand and one university that has made the biggest impact through the education and training of their team. 2017 Best Food Allergy Innovation (2 awards): Presented to one restaurant brand and one university that has gone above and beyond in providing new ways to cater to customers with food allergies and special diets. 2017 Best Food Allergy Champion (2 awards): Presented to an individual from one restaurant brand and one university who has demonstrated their long-standing dedication to food allergy safety and partnership with AllerTrain™. 2017 Best Overall Food Allergy Program (1 award): Presented to a single restaurant or university with the most comprehensive and effective food allergy program. AllerTrain offers the only ANSI accredited food allergy and gluten-free training courses in the foodservice industry, and provides nutritional counseling and policy development. The course has been approved to provide allergen training for both the state of Michigan and Montgomery County, MD. AllerTrain teaches foodservice professionals about the top foods causing food allergies, proper protocol for preparing food to avoid cross-contact and to how better serve diners with special dietary needs. High school students from underserved communities aspiring to become future celebrity chefs faced a challenge recently from the nationwide 2017 Careers through Culinary Arts Program (C-CAP) Meatless Monday Recipe Contest. The challenge: create an innovative meatless noodle dish and impress the distinguished panel of judges. The winner of the Grand Prize Scholarship for $5,000 is Adrian Gonzalez, a 12th grader from Los Angeles Center for Enriched Studies for his Three Sisters Stuffed Squash dish. Regional winners received $2,000 scholarships. They come from Arizona, Chicago, Washington, DC region, Hampton Roads, VA, New York City and Philadelphia. C-CAP is the national leader providing scholarships, education, and career opportunities in the culinary arts to underserved youth. Meatless Monday encourages people to make positive changes in their diet simply by choosing not to eat meat one day a week. Founded in 2003, Meatless Monday is now a global movement powered by individuals, chefs and restaurateurs, hospitals, schools, and worksites. “We’re excited to team up with C-CAP for the annual recipe contest. This year, we challenged C-CAP students to convert traditional noodle recipes into meatless versions. The winning recipes are stellar,” said Sid Lerner, founder of the Meatless Monday movement. “Through this annual contest, student chefs receive guidance from their teachers on recipe writing and development and are able to showcase their talent creating meatless recipes,” remarked C-CAP president Karen Brosius. Judges evaluated the recipe submissions based on originality, flavor, healthfulness, ease of preparation, and writing ability. Loi is the global ambassador of Greek gastronomy, elected by the Chef’s Club of Greece, executive chef of Loi Estiatorio, author, restaurateur, entrepreneur, and philanthropist. Also on the judging panel are Chef Matthew Kenney, recognized as a pioneer in raw, plant-based cuisine; Jet Tila, international culinary storyteller, Royal Thai culinary ambassador, chef/owner of Pakpao Thai in Dallas, and Diana Rice, RD, consulting recipe editor for Meatless Monday. 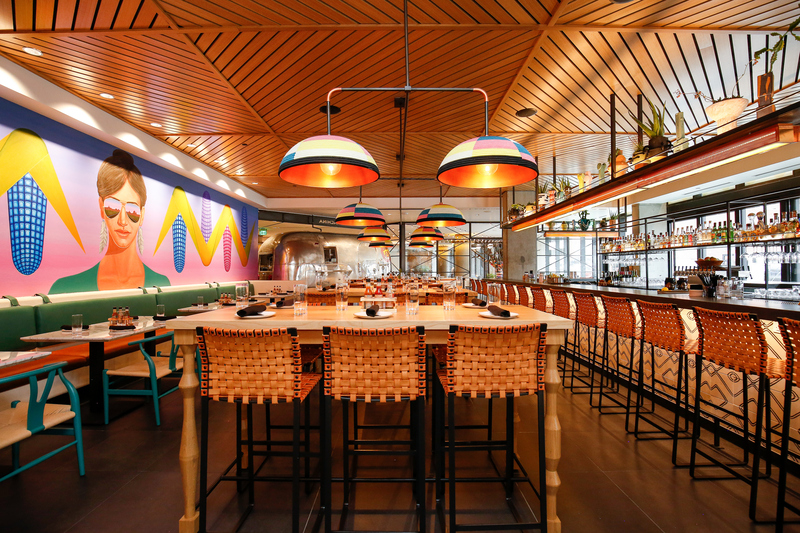 Sage Restaurant Group (SRG) introduced the second location of Kachina Southwestern Grill, a modern Southwestern-inspired restaurant, at Dairy Block in Downtown Denver. Poka Lola’s menu, created by SRG’s Director of Beverage Operations Brandon Wise, offers a nod to nostalgia with a selection of signature cocktails and classically-inspired drinks. “Fancy Drinks” section features unique concoctions which include an Aperol Cocktail with aperol, grapefruit-lime cordial, and prosecco; Improved Jungle Bird with Overproof rum, pineapple phosphate, Campari, and lime; and Crate & Barrel with bourbon, sweet vermouth, barrel-aged Benedictine, absinthe, and bitters. The “Fountain Drinks” section features cocktails served from a tap, with options like the Negroni Soda with Campari, sweet vermouth, orange cream citrate, and juniper soda; Windsor Egg Cream with fernet, chocolate, cream, egg white, seltzer, and mint; and the Woodward Avenue Cooler, made with rye whiskey, Vernors ginger ale, angostura bitters, and vanilla ice cream. Designed by New York City-based Crème Design in collaboration with SRG the Poka Lola space features an open layout with plush chairs and small tables; bold black and white-patterned floors, an elevated take on classic checkered board floors; and a stunning bar adorned by glowing stained glass panels. Along the back wall, a luminous display of antique bottles and mirrors create an inviting backdrop for a night out. In addition to playing in the bar’s small arcade game area, guests will have the opportunity to enjoy cocktails in the alley come early summer. The Adolphus hotel opened City Hall Bistro, overseen by Executive Chef Don Flores. Slated to officially open in May, on the site of Dallas’s original City Hall, the Southern European-inspired bistro features shareable fare, an approachable wine list, and craft cocktails housed in a bright space ideal for a stylish power lunch, dinner with friends, or a satisfying solo meal. Open for all-day dining, including daily breakfast, weekend brunch and happy hour Monday through Friday, the restaurant showcases menu selections meant to be shared and intended to create a layered meal, offering guests the freedom to sample many small plates or order in a more traditional, coursed fashion. A new entrance on Main Street allows both interior and street-level access to the restaurant. 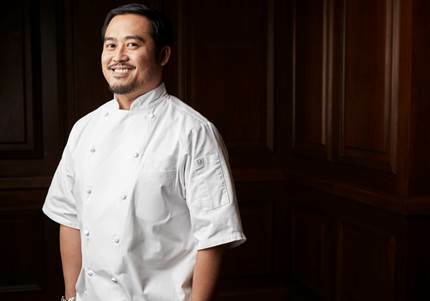 A native of California, Flores previously served as Executive Sous Chef of TAO and Executive Chef of Casa Pomona, both in New York City, before moving on to Los Angeles to become Executive Chef of Katsuya. Having completed training and studies in Barcelona, Spain early in his career, his experience also includes stints within the kitchens of Morimoto and Momofuku Ssam Bar. Designed by local Dallas-based SWOON, the studio, City Hall Bistro delivers a well-appointed space meticulously restored and thoughtfully designed to recapture the timeless elegance of The Adolphus. 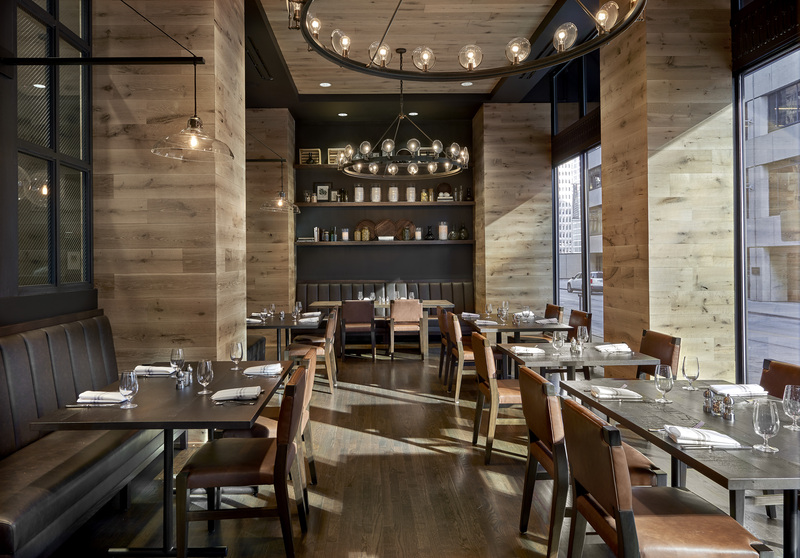 Clad in glossy white subway tile and Carrara marble, City Hall Bistro is accented by warm wood tones and brass lighting fixtures, creating a chic environment that gives a nod to the classic while still feeling fresh and modern. Werewolf Coffee Bar, the first-ever coffee concept from DMK Restaurants, opened in Chicago on Monday, April 3. Co-owners David Morton and Michael Kornick designed Werewolf Coffee Bar as company clubhouse for DMK employees, where all DMK Restaurants team members can enjoy complimentary coffee – it also just happens to be open to the public. 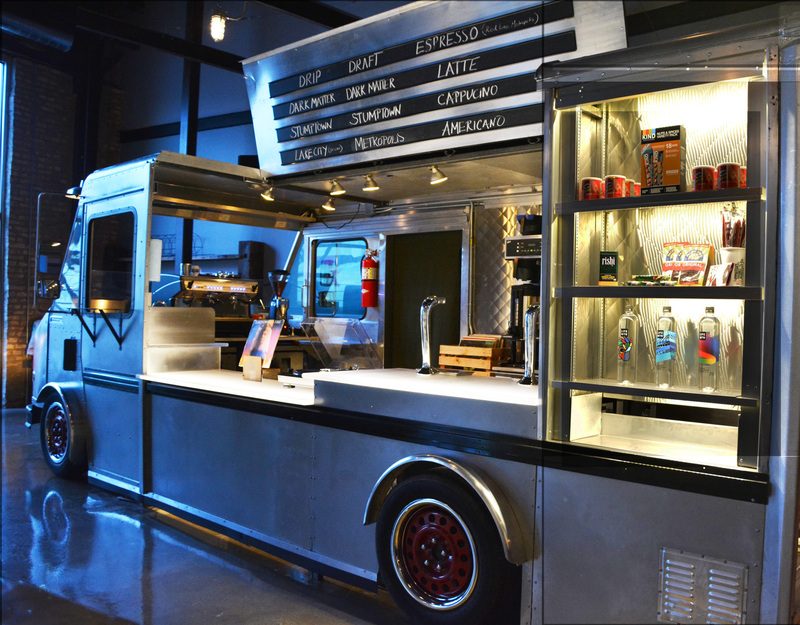 The coffee bar offers coffees from many of the country’s finest brands, pastries from Floriole Café & Bakery, and grab-and-go food and beverage options, all served out of a refurbished Wonder Bread truck barista station that acts as the centerpiece for the shop. The DMK team chose the name Werewolf because by definition werewolves are constantly changing and evolving and they want this space to change and evolve as well, seasonally and of course with growth and time. The team from Lincoln Park’s acclaimed Floriole Café & Bakery provides an assortment of pastries and baked goods, including a variety of breads for daily rotating toasts with creative toppings. Additionally, Werewolf offers a balanced array of gourmet and nostalgic grab-and-go items from local brands like Vosges Chocolate, alongside childhood favorites such as Swedish Fish, Poptarts and instant ramen cups. Beginning in April, Chef Michael Kornick plans to use the space as a “test kitchen” to try out new items destined for other DMK concepts and available first at Werewolf. Kellogg’s® is putting a twist on the signature dishes of world-renowned chefs Thomas Keller and Daniel Boulud. For one night only, select guests experienced an exclusive six-course tasting menu of recipes recreated with cereal at Kellogg’s NYC. To entice diners and tempt their taste buds, Kellogg’s NYC brought together a team of professional chefs, some of whom recently worked together to win Bocuse d’Or, the most prestigious culinary competition in the world. ChefsMathew Peters and Travis Swikard were tasked with using Kellogg’s cereal to recreate famous dishes by chefs Thomas Keller and Daniel Boulud. In addition, chef Harrison Turone from Team USA was on-site to join in this culinary experience. Together, these chefs were not only the first team of Americans to win Bocuse d’Or, but they’re also bonded by mutual support for ment’or, a nonprofit that inspires excellence in young culinary professionals. “I’m excited to see my fellow ment’or chefs re-create my well-known dishes using a favorite breakfast staple, cereal. You don’t have to be an award-winning chef to get creative in the kitchen and think about food in unique ways,” said Chef Daniel Boulud. From Thursday, March 30th, through Sunday, April 2nd, the golden chef doughnuts along with cereal bowls designed by Chefs Thomas Keller, Daniel Boulud, Gavin Kaysen, Harrison Turone, Mathew Peters, and Philip Tessier will be available at the café for $8. Proceeds from the bowls will benefit ment’or and will come with a numbered ticket. Two tickets will be chosen on Monday, April 3, and one winner will receive dinner for two at Restaurant Daniel and the second winner will receive dinner for two at Per Se in addition to aKellogg’s NYC gift bag. sbe launched a series of art, design and food collaborations at Hudson Hotel. The inaugural program is a collaboration with Assouline to produce a one-of-a-kind library experience. 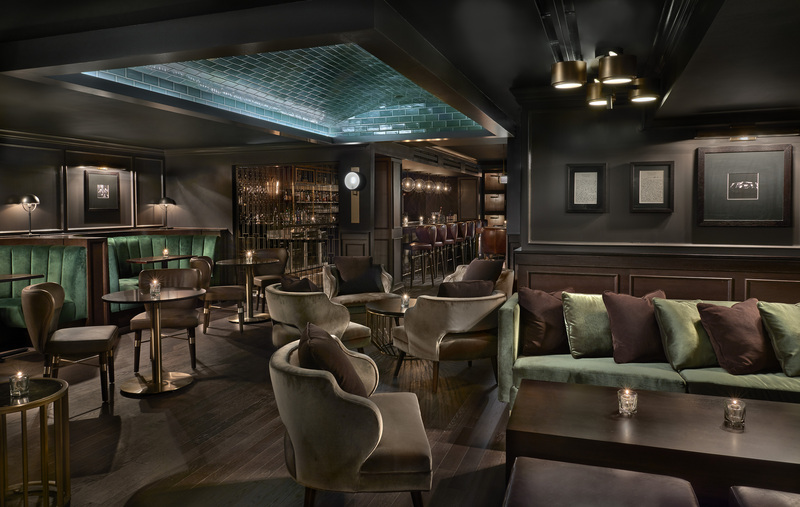 The curated collection has been installed in Hudson’s Library Bar location on the main level of Hudson Hotel. It focuses on photography books from the worlds of art, fashion, travel and design—displaying Assouline’s approach to culture, luxury and lifestyle. The Assouline books presented at Library Bar include: The Light of Paris, The Light of New York, World of Departures, The Big Book of Chic and Tequila Cocktails, among others. The cocktail program reflects a menu of impressive craft cocktails inspired by Assouline’s Connoisseur Collection cocktail books. “Contemporary libraries are the new oasis in our modern way of life. We design libraries for people to disconnect from the digital world, and take time to dream, time for inspiration and reflection,” stated Prosper Assouline, Founder of Assouline. Library Bar contains all the classic elements including: high ceilings, elegant wood paneling, walls lined with books, a large working fireplace, a 75-year old billiard table and antique rug and furniture. This is infused with some contemporary trappings, including: a large Ingo Maurer purple dome lamp, a series of humorous black and white photographs by Jean-Baptiste Mondino, among other playful surprises characteristic of Assouline custom libraries. It combines Old World refinement and contemporary creature comforts. Created together by lifestyle visionaries and innovators, sbe and Assouline bring guests a seamless union between culture and hospitality. The collaboration with Assouline is the first in a series of activations that sbe will bring to Hudson Hotel. sbe is also working with other contemporary artists and companies for future programs. Waikiki Yokocho, a Japanese-themed food alley in the center of Waikiki, announced that the openings of its five newest restaurants completed its first phase with 14 restaurants. 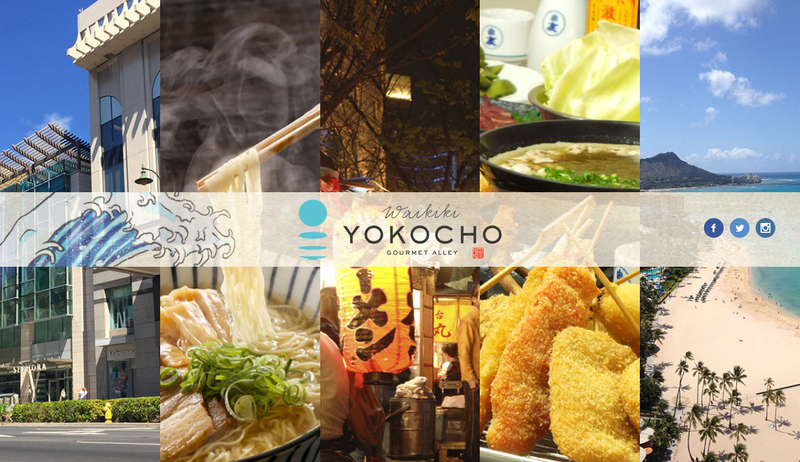 All of the first-phase restaurants chose Waikiki Yokocho to be their first locations in the State of Hawaii while 11 of them are new to the U.S. market. Tsujita, voted for Best Ramen Award in Los Angels for consecutive years, known for its tsukemen style. New to Hawaii. Ramen Bario is known for its creamy “tonkotsu” pork bone broth, unique thick al dente noodle, and char siu roast pork. New to USA. Baikohken from Asahikawa, Hokkaido, was listed in Michelin Hokkaido 2012 for its authentic shoyu ramen. New to USA. Kaneko Hannosuke’s world-famous tempura bowls will be highlighting its fresh, authentic, made-to-order tempura. New to Hawaii. Nin Nin showcases its Japanese-style curry and popular soup curry, using imported Japanese rice and multigrain mix. New to USA. Tonkotsu Kazan Ramen (volcano ramen), known for its sizzling hot pot ramen with steam charging out of a red metal funnel — just like a volcano. New to USA. Nana’s Green Tea is a modern-day Japanese tea house popular in Asia with green tea matcha parfait, green latte, and a wide selection of hojicha, Japanese dark roast green tea. New to USA. Sizzle from Osaka offers Japanese yakiniku-style barbeque and hot pot including sake shabu shabu using the finest Japanese wagyu beef and U.S. beef. New to USA. Kushikatsu Tanaka serves Osaka’s soul food kushikatsu, a variety of deep-fried cutlet skewers with panko crust. Its 26-variety kushikatsu menu includes pork, beef, chicken, vegetables, pineapple, Oreo cookies, and more. New to Hawaii. Umami Teppan Kingyo’s food look like a work of art. Using a flat iron grill, dishes are created to both taste and look amazing. Together with teppanyaki meat and seafood, guests will enjoy okonomiyaki, popular Japanese-style pancake. New to USA. Beniya’s authentic sushi is made from an award-winning chef’s creativity and fresh local and imported seafood. 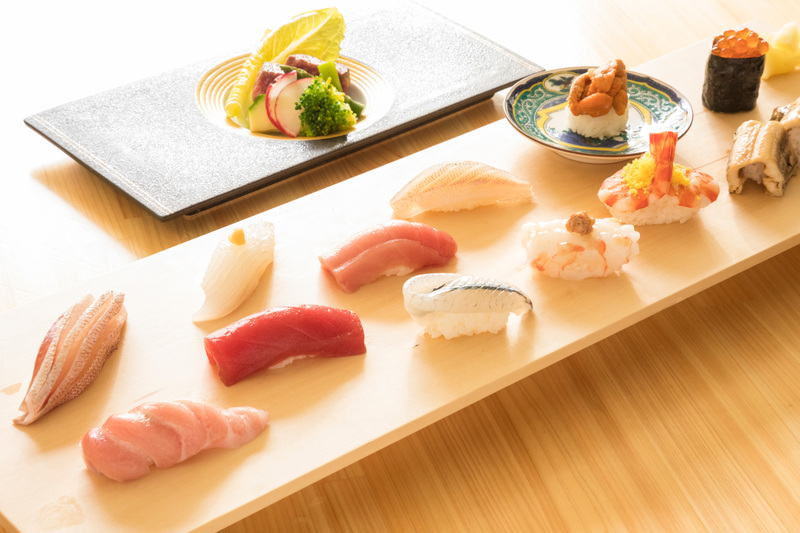 Its daily chef’s special Omakase course features seafood from Hawaii’s ports, fishing ports from Japan, and all over the world. New to USA. Pour is a lounge space perfect for special events and parties. Food and beverages can be catered to the lounge from Yokocho restaurants. New to USA. Shichimusubi features Japanese authentic rice ball, or musubi, with organic rice imported fromJapan. Together with brown rice and ancient multigrain mix, guests will enjoy real rice quality inJapan. New to USA. Nomu is a stylish bar featuring well crafted original cocktails, whiskies, and selections of beer and wine. Based on the dining alleys popular in Japan, Waikiki Yokocho is a gourmet dining alley featuring a selection of 16 first-in-Hawaii eateries. Located in the basement of Waikiki Shopping Plaza, the 23,000-square-foot space is sectioned into three distinct areas — Ramen Road, Noren Street, and Engawa Terrace. Waikiki Yokocho opened in December 2016. 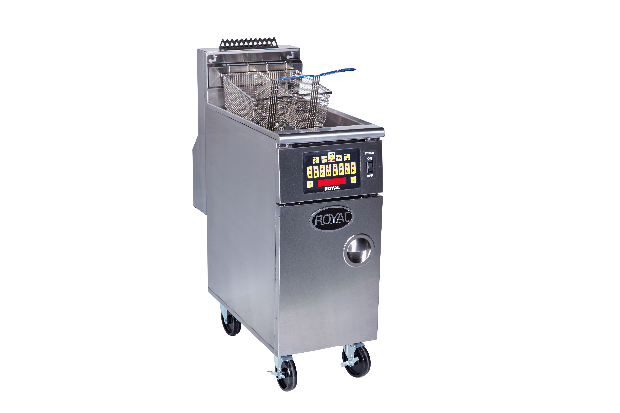 Royal Range of California, Inc.’s High Efficiency Deep Fat Fryer Model RHEF-45-CM received the 2017 Gas Foodservice Equipment Network Consortium (GFEN) Blue Flame “Product of the Year” Award at the NAFEM show in Orlando, FL. The RHEF-45-CM is the first fryer to utilize an innovative heat exchanger whose flue makes three passes through a series of round tubes as the heat is transmitted to the oil. The tubes are progressively reduced in size/volume to increase the velocity of flow as it exits through an induced draft blower. This results in very low carbon emission and heat output through the flue due to low gas consumption, both during idling and cooking periods. Globe’s new S-Series premium heavy- duty slicers deliver powerful features operators need and the high-quality cuts customers demand. With superior slice quality, ease of use and cleaning, and lasting value, the S-Series sets a new standard for heavy- duty slicers. Designed to perform in the most demanding applications such as supermarket delis, correctional kitchens and slicing frozen meat, Globe’s all new line of heavy duty slicers pack a powerful punch. Precision slicing and low cost of ownership, long a hallmark of Globe premium slicers, were the foundation of the design. Operators not only want quality cuts and value, they expect ease of use and cleaning, operator protection and convenience. The S-Series slicer provides those important benefits and MORE. 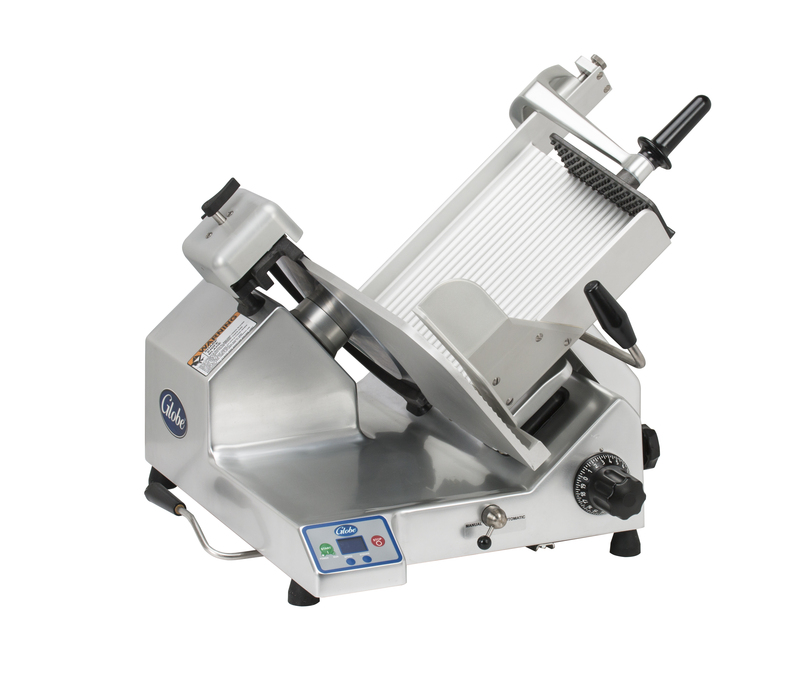 Globe S-Series Slicers are offered with two feature sets: Standard and Advanced. Standard models provide operators with great value while the Advanced models have additional features designed to protect the operator, not only during operation, but also during clean up. The S-Series includes a variety of options including high voltage and correctional units and frozen meat slicers in both manual and automatic, along with accessories for vegetable prep – vegetable hopper, slaw tray and food fences. “Our goal was to provide value along with the performance and quality expected of Globe. We designed the S-Series from a blank sheet of paper, with more premium features and benefits for both food retail and foodservice segments, without a high price tag”, said Kevin Woods Globe Vice President of Sales & Marketing. Following last quarter’s debut of its innovative online “taste map” of Los Angeles, Coast Packing Company, a supplier of animal fat shortenings in the Western U.S., is again putting its website where its taste buds are (http://bit.ly/2n506Jq), mapping Big Apple restaurants and eateries where locals can try dishes prepared with lard or beef tallow. The initial litany – some 35+ strong – just scratches the surface and will expand over time. Still, discerning diners will find a mix of gastronomic stars and popular hangouts: in Manhattan, from Eleven Madison Park, Estela and Flora Bar to Momofuku Ssam Bar, Bar Jamón, and Pasquale Jones; and in Brooklyn, such mainstays as Carnal, Roberta’s and Peter Luger. Second Harvest, Canada’s largest food rescue charity, is proud to announce that they are the recipient of $1.5 million USD from a global foundation to support the launch of a new digital platform for food rescue and delivery, which will be known as foodrescue.ca. The integrated digital platform will pilot in the GTA, connecting social service agencies with available surplus food. The platform will allow Second Harvest to rescue and deliver more food, focusing on smaller scale donations, adding to its already robust food rescue program. Last year, Second Harvest rescued and delivered over 9.5 million pounds of fresh, healthy surplus food, and is currently tracking at one million pounds a month in 2017. “We are so grateful for this investment in an innovative solution aimed at feeding more people and reducing food waste,” says Debra Lawson, Executive Director, Second Harvest, who notes that the pilot already has the support of six major national retailers and the potential for national scalability. 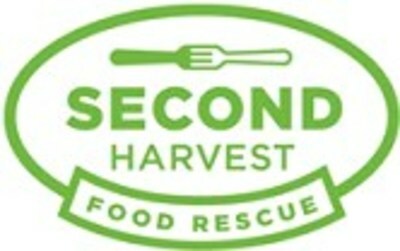 Established in 1985, Second Harvest is the largest food rescue charity in Canada. Second Harvest rescues excess, fresh food that would otherwise go to waste, and delivers that food to more than 225 social service agencies in Toronto, feeding people experiencing hunger.